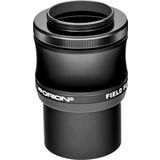 Designed for use with 400mm to 660mm focal length refractor telescopes with focal ratios of f/5 to f/7.5, this Field Flattener lets you enjoy the full potential of your fast refractor telescope for astrophotography. 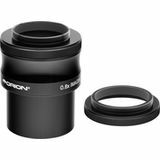 Fully multi-coated optics. 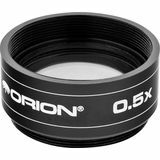 The Orion 0.8x Focal Reducer for Refractors increases any 2" focuser-equipped astrophotography refractor's field of view while reducing the effective focal length by a factor of 0.8x, thereby providing a shorter, more optically fast focal ratio.